A TWIST TO JOSEPH KONY | Thoughts of a Calabarboy. 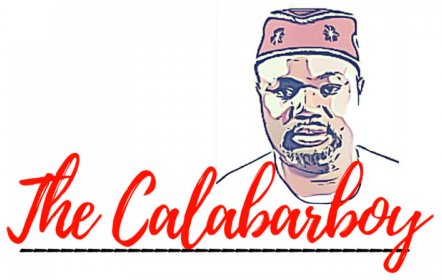 A TWIST TO JOSEPH KONY – Thoughts of a Calabarboy. However, I want to put a strange twist on the whole matter. I think the age of information has made we young Africans look totally disconnected from the realities we live in, and this has become public shame, aided by the same information cycle we so cling onto. I bet you that most of us knew nothing about Joseph Kony until when we watched the video by Invisible Children. Now we have become experts of his crimes and we are screaming Wolf! The question I should ask is must it take an American to help us pay attention to the rottenness of our bones? Are we Africans so numb that our sensory functions have been outsourced to help us feel our pains? There has been a constant stream of news on the Ugandan rebel movement of which the name ‘Lord’s Resistance Army’ has been an existential concern for many and Joseph Kony not a strange name. But have we paid enough attention? No! We gloss over news on African as though we live in Omelas and have taken the deadening drooz. We don’t care, or we are too used to our condition that caring is not an appropriate response anymore. I have found the average African to be this way: until calamity knocks on our individual door, it’s a matter that only our emotions can contain. And even when it breaks down our doors, our brains are compartmentalized to address only what is threatening on our immediate existence, and cast-off the rest for our future generations to absorb. This is the trouble with us. We do not care for what our brothers across our borders are facing. And this in its aggregate form has become the object of State policy. This is why ethnic cleansing happened in Rwanda and no African country lifted a finger. Instead we watched it on CNN and BBC and merely decried man’s inhumanity to man. This is why, despite all the early warning signs, we waited until a whole nation was almost limbless before we grudgingly stepped in. While the atrocities continue in Congo, we are all buying our tech devices, forgetting the inhuman condition from which the raw materials for these tools are mined. Invisible Children Inc. has served us with the inconvenient truth of our blind reality. No matter how controversially framed their story is, or how sleek their savvy marketing technique to convince us of what they want to sell, my spin from this is that we are so dead in our condition that we have to be constantly dug out and be reminded we live in a real world, with real issues that we must daily confront. Yes we are confronted with the danger of a single story, but let’s not forget that we aren’t the ones telling the story. Someone else is doing so. Therefore we have no justification to question that story when we haven’t told anything different. You see the world responds to those who can tell stories, and emotional ones for that matter. The more you tell it, the better you become at convincing others that your story is the only one there is. The only way to disarm the other is to present another, and one that is perceivably stronger in narrative. So before you register as a part-time African social media activist, ask yourself how conscious you are to Africa’s challenges. How alive are you to your responsibilities to help her renaissance? We young Africans must take a more proactive role in paying attention to our continent and get more involved in influencing change where needed. Computer screens and mobile devices are too small a window into Africa, for all we will be able to see are the ugly side of things. There are lives to be celebrated, victories to proclaim, and positive stories to be told. Perhaps if we were actively engaged in these, we would have known that Joseph Kony is not even in Uganda any longer, and that he has grown so irrelevant that what is left of him is about 250 armed men, and that he is only waiting to be captured and tried. Africa, mind yourself oh! ← IS DEVELOPMENT THAT DIFFICULT? I think the guy who began this craze simply wanted to bring the #1 guy on the ICC list to justice for his crimes. And as he said he wanted to make Kony a celebrity I think he has and even better he’s made us all like,dislike,argue,criticize,bicker and share his idea. He got us all talking about Kony and now Kony perhaps knows he’s less safer now than he used to be. Ask five economists and you will get five different answers – six if someone visited Harvard. That which you actually learn, from the given group of circumstances, determines whether we become increasingly powerless or maybe more powerful. O wow.. this article just laid down the facts of what I discussed with a friend recently. When we go for international conferences, Africans are mute most of the time and we hardly participate in real issues. We seem to be in a cocoon and a world of our own, mostly in our mind while the world quickly jets on to the next big thing.. This is indeed thought provoking. A very thought provoking piece that begs for personal re-evaluation I must say. A whole lot of valid questions and issues you raised. Charity truly should begin from home! A very thought provoking piece! Thank you sir. Great thoughts on your blog! And so I’m going kitchen renovation to do a quality insurance walk through on this house. a semi to high gloss paint, but that is probably not the case in five years. That is a great tip ƿarticularly to those new to the blogosphere. Brief but very ρrecise іnfօ… Thank you for sharing this one. about this paragraph, in my view its really amazing in support of me.